If you plan for a trip, first thing you have to do is to start with visa application. But in order to do that, you will be ask to present a flight reservation? Have you been wondering what that mean? In most cases, embassies will ask you to show a return flight ticket to your home country. This is to ensure that you are actually going back to your home country and not intend to overstay in the destination country. But paying for a flight ticket is an expensive commitment to make when you are not sure whether your visa application will be accepted and how long it will take. This is where a valid flight reservation for visa application can be of great help to you! WHAT DOES FLIGHT ITINERARY FOR VISA MEAN? Flight reservation for visa application refers to a reserved itinerary or a flight plan to and from the destination country you want to apply the visa for. This itinerary is not an actual flight ticket, and thus, need not be paid for, except for the minimal service or processing charges to travel agency. Once your visa is issued, you can make your own travel plan and purchase your ticket or book your hotel with your preferred dates. WHY DO YOU NEED FLIGHT ITINERARY FOR VISA? What happen if you buy a flight ticket while applying for a visa, and your visa application is rejected? You will then have to make a cancellation request to your ticket provider if it is refundable, or you might risk to lose the full ticket if it is a non-refundable one. But don't worry, here is a way for you to get a flight itinerary without risk to lose cancellation or full ticket if in unlikely event your visa application is rejected. Instead of purchasing a flight ticket, consider purchasing just a flight itinerary for visa application, which will give you the flexibility to book a flight once your visa approved. Given how uncertain visa regulations are become these days, flight itinerary for visa basically helps you avoid the huge risk on buying a flight ticket without a confirmed visa. Flight reservation document looks almost like a flight ticket, except that it does not have a price tag attached to it. It comes with unique reservation ID or code that can be verified from the airliners. The flight reservation document also contains all other information that you would normally have on a flight ticket – point of boarding, point of entry, travel dates, etc. All this information is mandatory when applying for a visa so the embassy is assured of your travel plans. Fortunately most embassies do not ask for actual flight ticket when you apply for a visa. Flight reservation is to show that you have the intention to visit their country and will be return back to yours. The flight reservation for visa is like an assurance for them. Embassies will also confirm the duration of your stay mentioned in your application form so the appropriate visa can be issued. SHOULD YOU BOOK A FLIGHT FOR VISA APPLICATION? Definitely not! Purchasing flight ticket is a commitment to fly on the dates you booked for. If your visa takes longer than the expected date, you will probably lose your ticket. Instead of going through all this hassle, how about opting for a flight reservation for visa application that not only offers you more convenience and flexibility, but also ensure that your purpose is served. Visa rejection rates can be high for certain countries or certain applicants. Get your flight & hotel itinerary in 3 simple steps in less than 5 minutes. You don’t have to wait 24 hours or pay extra for faster delivery. 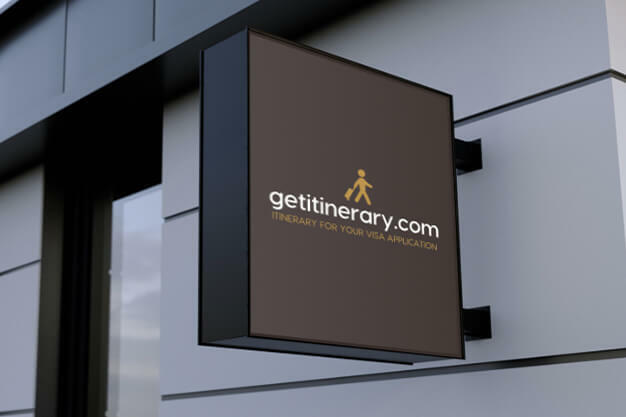 We are the only place to obtain electronic itinerary with instant download.